WAC Lighting Responsible Lighting® Collection BA-LIX Model line voltage premium light bar featuring built-in high/low setting, employs two T4 20-Watt 2-Pin socket xenon lamps with average life of 10000 hours to deliver light of brightness 700 Lumens. Lamp has color rendering index of 85 and color temperature of 3000K. It has voltage rating of 120-Volts and power rating 40-Watts. 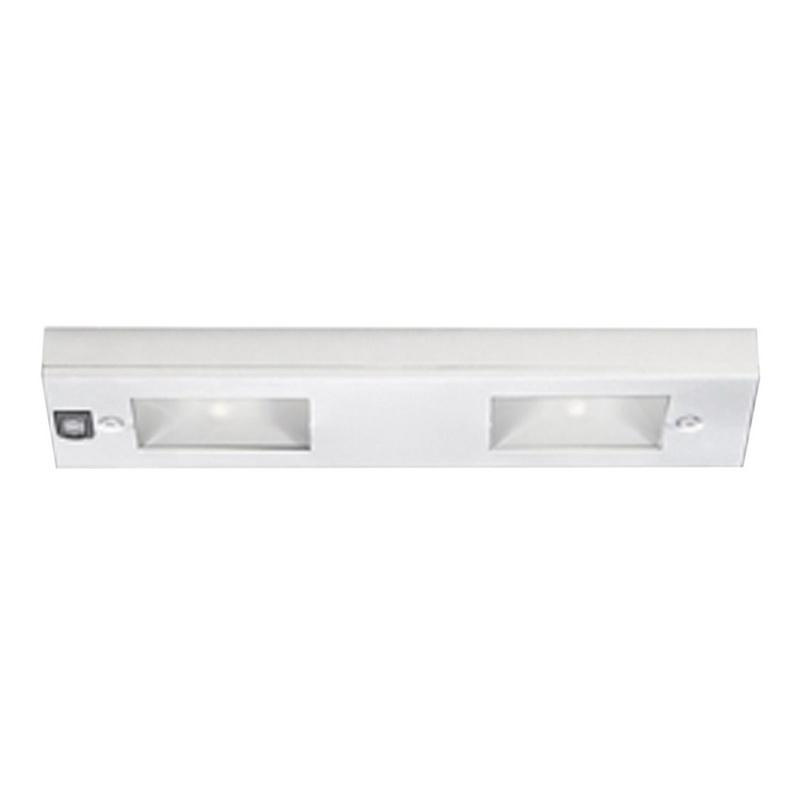 This 1-Inch low-profile light bar in white finish, has steel construction for longer endurance and frosted borosilicate glass lens shade for radiating true white light. Dimmable light bar measures 12-Inch x 3-1/8-Inch x 1-1/8-Inch. Light bar is UL and cUL listed.